As a real estate agent, you need great marketing skills to sell homes. Thankfully, the internet makes it simpler for realtors to do so. 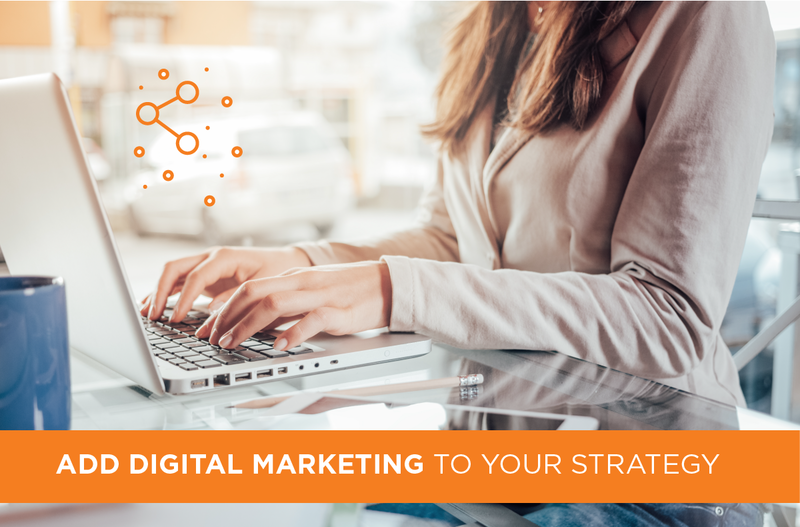 However, if you're having trouble getting new leads, then it may be time to develop a quality digital marketing strategy. A website alone isn't going to do much for generating hot leads. There are many ways the internet provides lead generation for real estate agents. After all, most home buyers today are searching online for houses. And more than half of them are using mobile devices. Let's review how the web can boost lead generation for real estate agents. A website is great, but it's no good if it's not SEO-friendly. The purpose of your website is to be visible by your target market. However, if it receives a low ranking in Google and other search engines, then your traffic will take a real hit. The key to boosting your visibility is to optimize your site so it can get a higher rank in the search engine page results (SERPs). And since the majority of today's home buyers are using mobile devices, it's important to have a site that's mobile-friendly. But rather than creating a mobile version of your website, it's best to go with a responsive design. This way, your site will adapt to the screen size and type the visitor is using. And let's not forget keyword optimization. You'll need to research low-competition keywords you can use for your site. Place these throughout all the pages of your website. Plus, use them in your meta tags, like the meta title and meta description. Speaking of optimization, you can really enhance your online visibility with blog content. If you don't already have a blog, you can easily create one using a content management system like WordPress. Your blog should act as a resource and showcase your expertise in the industry. This will help establish yourself as an authority, which helps build trust with prospects. The topics you cover on your blog should provide tips and actionable advice for buying and selling a home. Research the questions and concerns your prospects have and seek to answer them in your posts. Make sure to include keywords in your blog post titles, subheadings and throughout the content. Then to promote your blog posts, you can use social media. It's not enough to open social media profiles and pages. It's very important that you also engage with your followers and other users to build visibility. Now, the social media platforms you choose should be top choices for your target customer. Do the research to see which social media networks your audience likes. Then open up profiles on each one. Try to make posts daily, but without being overly promotional. As a rule of thumb, your posts should consist of 10% promotions, 30% owned content and 60% curated content. Don't use social media as a bullhorn for your home listings. Use it to build relationships with your followers and to reach out to prospects. Engage in conversations and start a couple to showcase your expertise and knowledge. For example, you can ask users what struggles they have with buying or selling a home and then offer solutions. These conversations are visible to everyone on the web, so there's a great chance they will help build your following and site traffic. Also, keep in mind that any comments you make on your follower's posts are visible to all of their followers. It's the perfect opportunity to leverage lead generation for real estate agents. There are several ways you can get more visitors to sign up for your email list. If you don't already have one set up, you can use free tools like MailChimp and Reach Mail. These are simple to use and allow you to design, schedule and segment your email campaigns. Once you have a large list, you can use it to promote your services, provide tips, and offer rewards for referrals. But the key to making this all work is to grow your email list in the first place. One way to do so is to offer free downloads. For example, you can give away a white paper, case studies or an e-book. Whatever you offer, it should be of high value to your prospects. You can save time by putting together an e-book with a blog series you wrote on your site. If you have a blog series that was quite popular, then this is definitely a good idea. Make sure to segment your email list early on, so it's easier to create content that's more targeted and more likely to convert. At the end of the day, your digital marketing campaigns are only as good as you make them. You can expect they will require regular tweaks and updates. Analytics tools will help determine which campaigns are working and which of them need changes. Google Analytics is one tool worth looking into. It helps with lead generation for real estate agents. You can use it to track just about everything. This includes your email campaigns, website traffic, conversions, social media campaigns, and pay-per-click ads. Just make sure you don't get carried away with vanity metrics, like traffic and follower numbers. It's all about conversions rates. The internet is a great resource for driving traffic. However, if you want direct leads brought to your doorstep, then you should consider the solutions offered at Landvoice. We help realtors find hot leads using various effective methods. This includes giving you access to FSBOs, expireds, pre-foreclosure listings and more. You can group together the services you want or use them individually. Other solutions we offer include Call Capture to help you build meaningful relationships with sellers, and our Power Dialer that will maximize results for your outreach campaigns. If you're looking to improve your lead generation and sell more homes, then contact us today!